From L to R: Kate Hiscock, Glenda Daly, CEO Sue Leitch, Rita Meaney, John Pauley, COTA Australia CE Ian Yates, Julia Curtis (retired), Brigid Wilkinson, Philippa Roberts, Lisa Free. Absent: Peta Cook, Robert Hill. 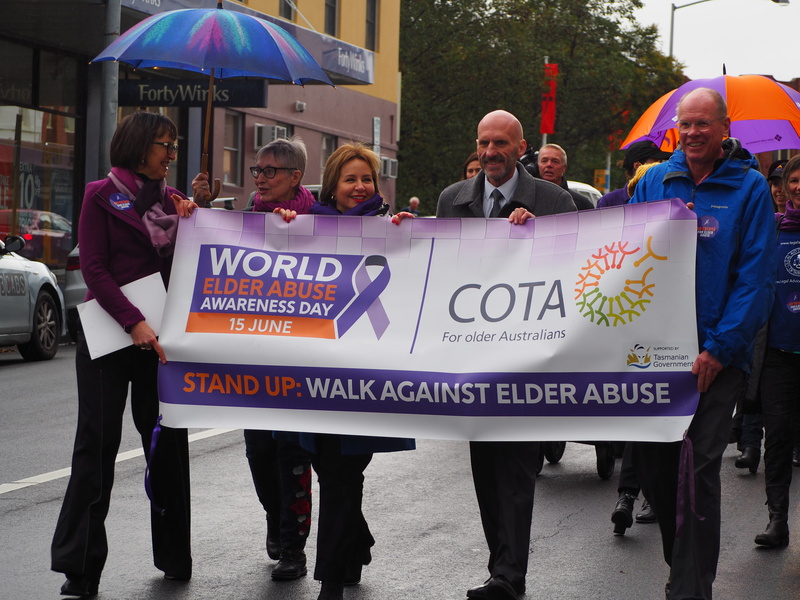 The COTA Tasmania Board is made up of a diverse group of individuals with a broad skill base. The Board fulfills a leadership role within the organisation to assist in achieving the COTA Tas Vision and Mission. Directors are elected for a two year period at the AGM held in November each year. Nominations for the COTA Board are called in September. If you are interested in applying please contact the COTA office. View our 5 year strategic plan for 2017 – 2022.